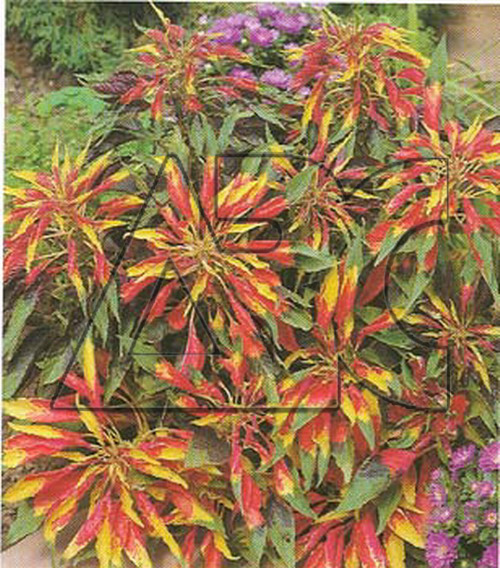 Vigorous upright annual with attractive red and green mottled foliage. Showy clusters of red and white flowers from summer through fall. This vegetable type of amaranth grows similar to and is eaten like spinach. Both red and green forms are edible, but green-leaved ones are preferred. Ideal colorful border plant or in containers for patio accent.